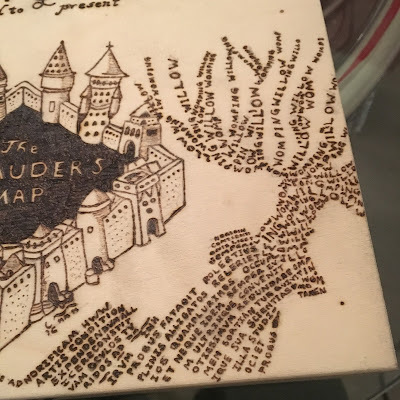 My Mum bought me the Peter Child pyrography machine for Christmas, so when it was her birthday this month, it was only right that I burnt her something. 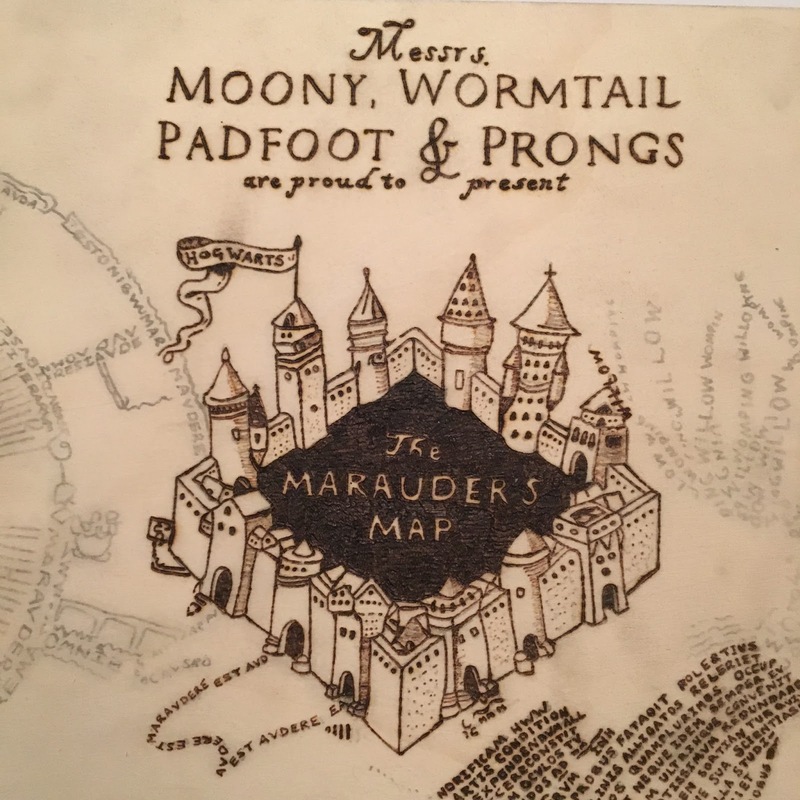 She's a massive Harry Potter fan (as am I!) 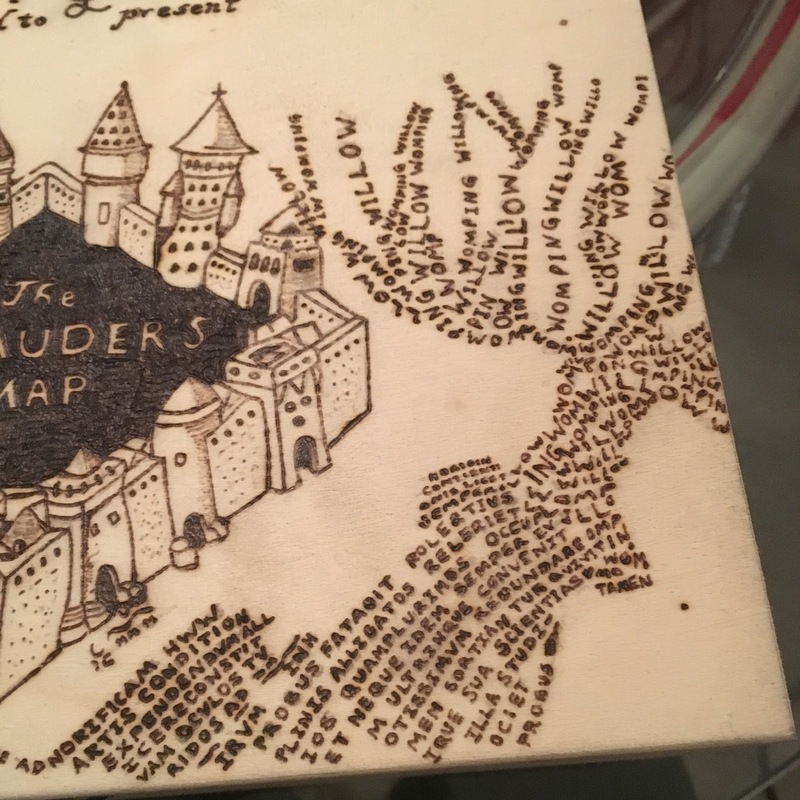 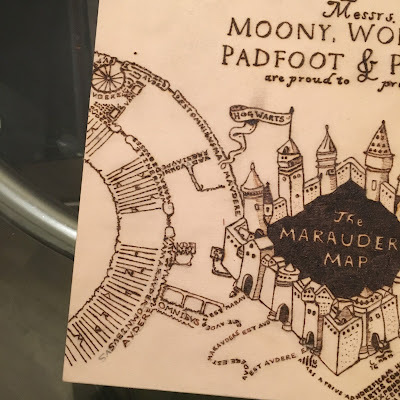 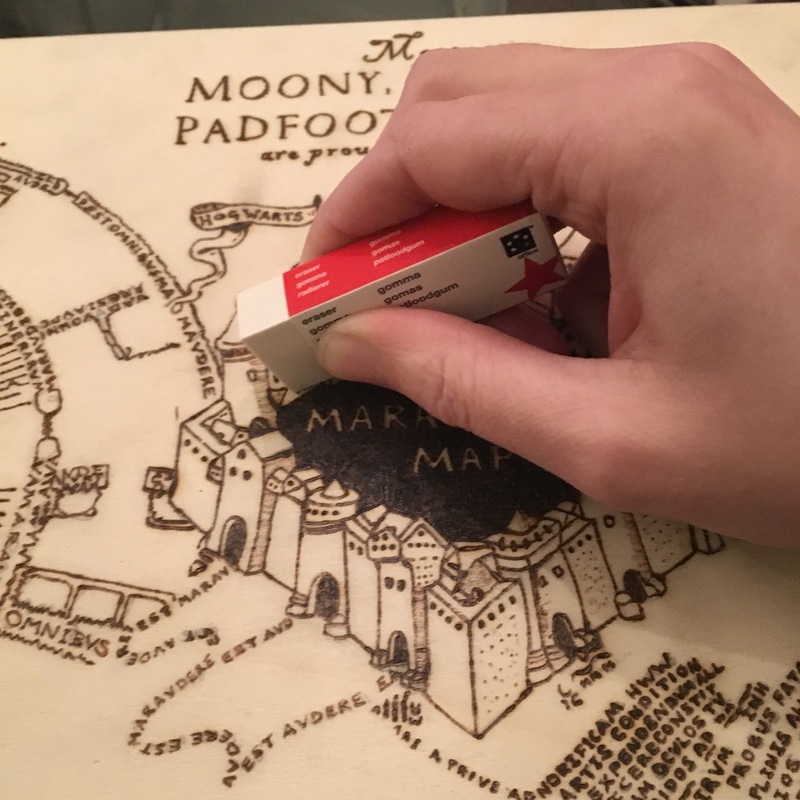 and I'd been thinking about burning the Marauder's Map for ages but it would have been impossible with my old pyrography machine. 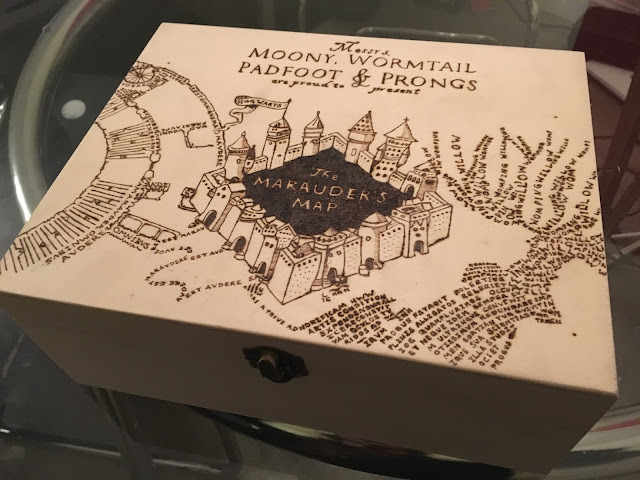 The project took about a week in total but I'm really pleased with the results! 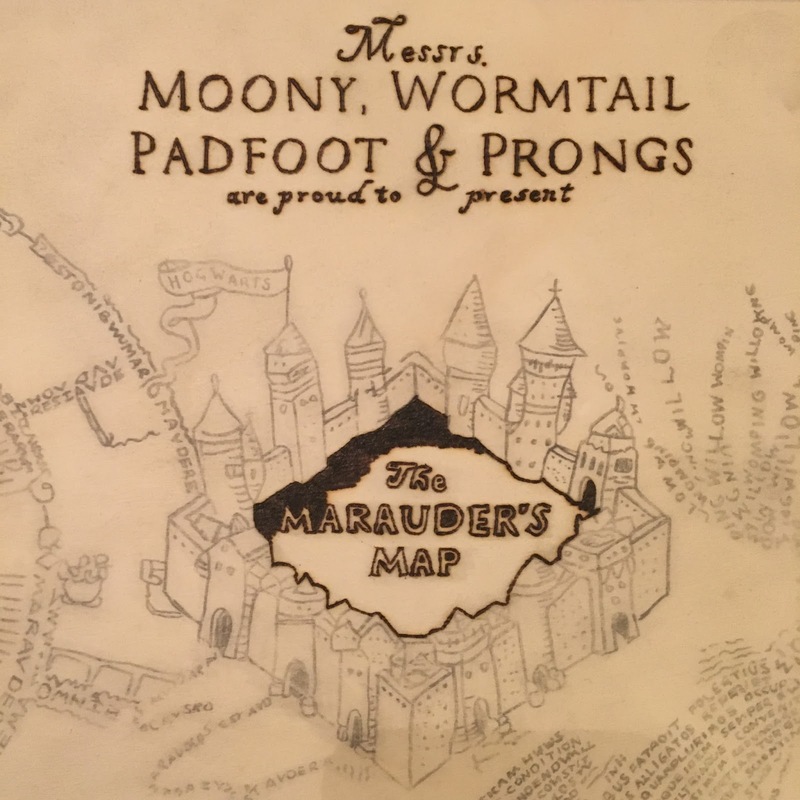 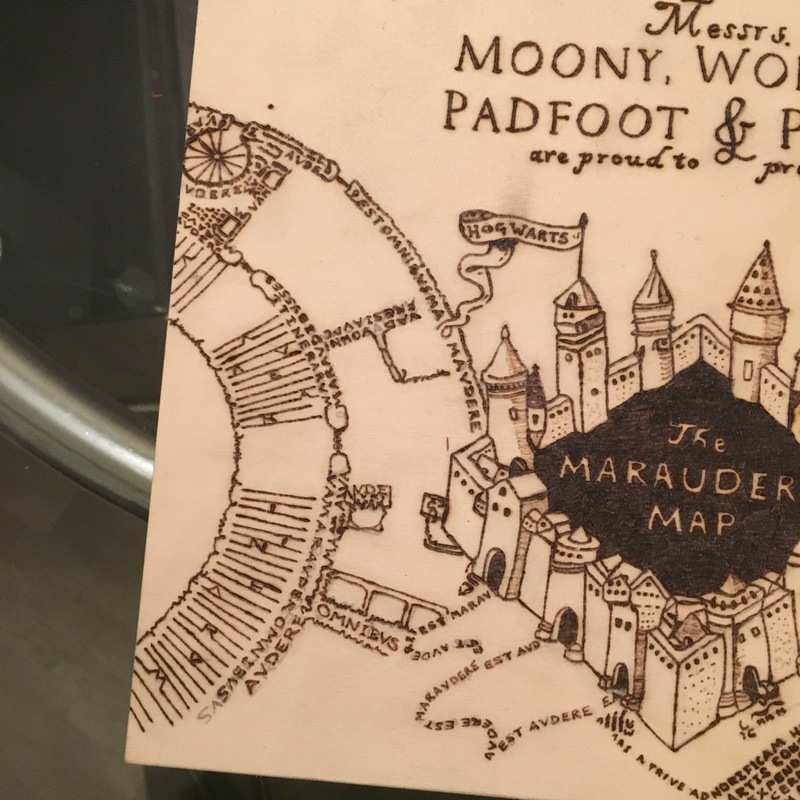 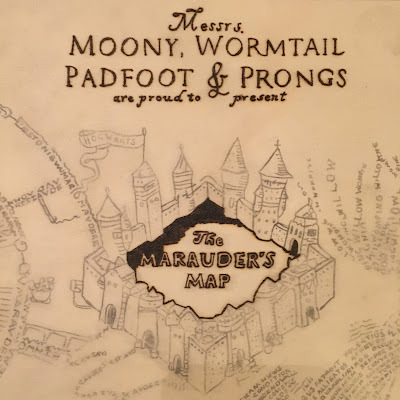 The first step was working out how I was going to do this as the actual Marauder's Map is very narrow and portrait. 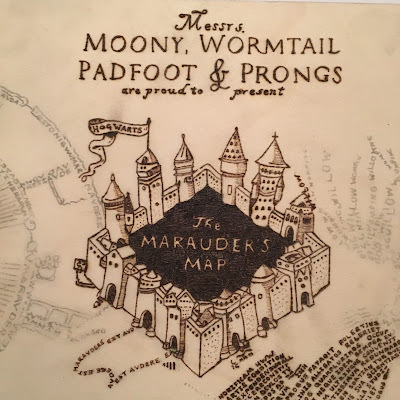 However, I managed to find a large landscape version on Pottermore. 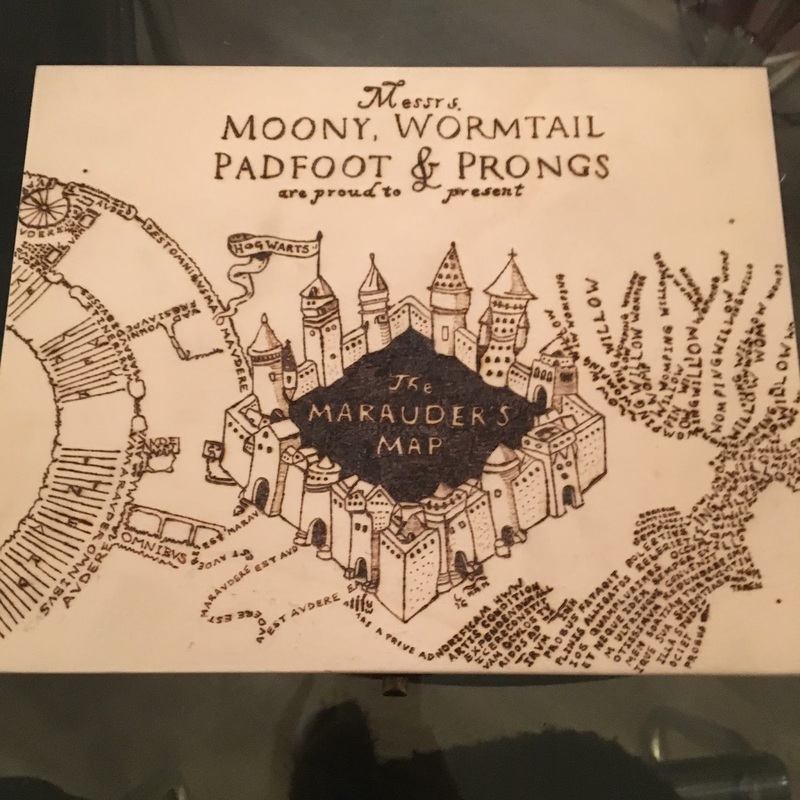 The only issue was half of it was back to front meaning the latin writing was wrong! 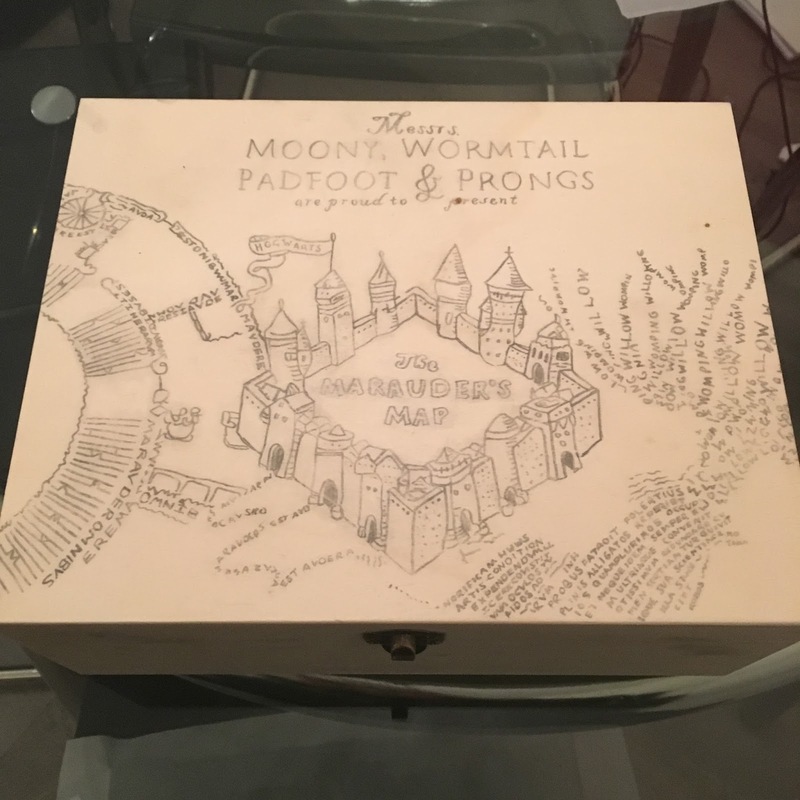 I traced on to tracing paper and then re-traced on the reverse...then positioned the design on a large wooden box. The bit that took the longest was Hogwarts due to all the detail and shading! 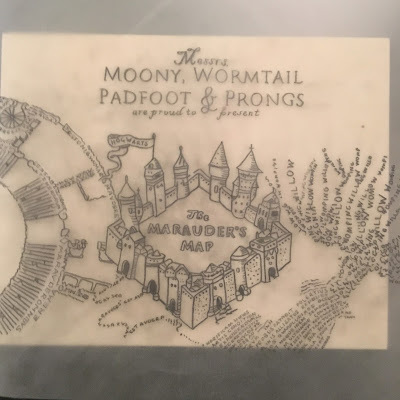 And there you have it, the design was finished! I then gave it to my Mum for her birthday on Sunday with all of her presents inside it. I'm now working on my next Harry Potter project for someone else... Watch this space!